If the world fell apart I am pretty sure I would be alright as long as I had my family, and chocolate chip cookies. It is a well known fact amongst my family and friends that I am a total snob when it comes the most classic cookie flavor known to man. In fact, my ever-expanding recipe binder has a special section - equal in size to the "pasta" chapter - devoted entirely to chocolate chip cookie recipes. I take no small amount of pride in this well-edited recipe collection. After all, I am a ruthless taste-tester, having spent years studying how the perfect combination of butter and chocolate should melt in my mouth. Of course, like any good collector, I am always open to trying new recipes that come my way. But, if the end results is not up to snuff, the recipe tossed in the garbage. Permanently. I chose to make my Neiman-Marcus Chocolate Chip Cookie recipe last week because I needed a big batch of delicious cookies, fast. Like most people I know, I received a version of this recipe from a forwarded email several years ago. The note included a lengthy urban myth about a woman's revenge at being charged $250 at Neiman's, for a recipe she thought she was receiving for free. Thus, she circulated the recipe as widely as possible via the internet, to ensure nobody would ever have to pay for the recipe again. Of course, it is widely acknowledged that this story is complete fiction, there is not one ounce of truth in it. But, urban myth or not, I baked a batch just to see what they were like, and am still making them today. My favorite part about the taste of these cookies is that the texture is unlike any other I've tried. This comes from unusual addition of blended oatmeal. Instead of calling for whole flakes of oatmeal, like we normally eat at breakfast, this recipe instructs that the grains be ground into a fine powder. The result is nothing short of genius. The blended oatmeal imbues the cookies with a sweet nutty flavor, but avoids giving them the dry crumbly texture usually associated with oatmeal-laden cookies. The shredded Hershey bar also creates an unexpected twist. The thin milk-chocolate flakes melt into the dough while baking, creating a subtle chocolate flavor that isn't overwhelming. Making these cookies during my daughter's afternoon naptime is a cinch. The best part for her is that when she wakes up our home smells like her favorite bakery, and I let her enjoy a cookie for her afternoon snack. In the end, I doubt any of us will ever learn the true origins of the faux Neiman-Marcus Chocolate Chip Cookie recipe. But, the truth doesn't really matter to me. This recipe has earned a permanent spot in my binder. Which is right where it belongs. Dough Tips: If you want a smaller batch you can easily halve this recipe. Or, you can prepare the full recipe and freeze half the dough, tightly wrapped in plastic, to bake at another time. *To make blended oatmeal, put it in your food processor and pulse until it is a fine powder. 1. Preheat oven to 375. Prepare baking sheets with Silpat or parchment paper. 3. In a large bowl add blended oatmeal, flour, salt, baking powder and baking soda. Stir and set aside. 4. In a mixer fitted with a paddle attachment, cream together butter and sugars until light and airy. Add eggs and vanilla and mix well. 5. Add flour mixture to sugar mixture and incorporate. 6. Prepare Hershey bar by shredding it in the food processor. Add to dough in the mixer. 7. Gently pour chocolate chips into the dough. Mix to incorporate. ** If possible, let dough rest in the refrigerator for at least 6 hours before baking. 8. To bake, roll dough into 1 inch round balls and place, two inches apart, on cookie sheets. Bake at 375 for 10-12 minutes. Cool and serve. Naptime Recipe Props: The blended oatmeal and shredded chocolate give this cookie a unique twist with both flavor and texture. It is easy to complete during naptime, and perfect for when you need a big batch of cookies to serve to a crowd, or for a bake sale. Naptime Stopwatch: Preparing the dough takes about 15 minutes. I usually let the dough rest and do my baking after my daughter goes to sleep. Naptime Reviews: These cookies are heavy on the butter which keeps them thin and crispy. Everyone loves them, especially when I serve them alongside a big bowl of vanilla ice-cream. These are one of my favorite cookies! 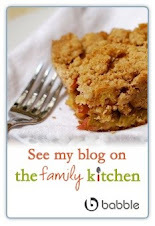 I just found your blog and I really love your theme of cooking at naptime! I read online that Alton Brown's The Chewy chocolate chip cookies are to die for. I may try them out this weekend- I'll let you know! YUM! Definitely my FAVORITE dessert. I always add a tad more salt to my recipe when making cookies. I just love things with chocolate and salt. Kelsey,you need to get rid of the first sentence of today's blog. You live in NY,NY if anybody in the mayor's office or the gov's office reads this they are going to levy a "Homemade Chocolate Chip Taxes" on them, as the are trying to do for everything everybody loves! ps Barbara has a new Oatmeal/Peanut/Choc.Chip recipe that is outstanding. Good point Kevin! I had better thinking about going rogue with my cookie devotion so as not to tempt Bloomberg and his taxing army... I would love to try Barb's recipe, there are never too many good cookie recipes!